Nike N7 Fund for Native American P.E. Mark your calendar! The Wyoming Department of Education and American Institutes for Research (AIR) are inviting Wyoming educators to apply for consideration to participate in the WY-ALT Content and Fairness Review Committee. Educators will review WY-ALT items in Math, ELA, and Science that are aligned to Wyoming Extended Standards for each subject. Follow this link to apply for consideration to participate. Wyoming educators are encouraged to participate on the Bias & Sensitivity (Fairness) Review Committee meeting for WY-TOPP Science items. Travel and lodging reimbursements will be offered to members traveling from outside of Cheyenne. Follow this link to apply for consideration to participate. Click on a subject below to view the recording of the blueprint webinar. The Wyoming Department of Education is seeking Wyoming educators interested in participating in the Open Range Wyoming Educator Cohort, dedicated to exploring and developing Open Education Resources (OERs). Interested educators should have a desire to increase the quantity and quality of educational resources available to the students of our state. The goal is to combine our resources, learning objects, and tools to create an online learning repository for Wyoming aligned to state standards. Open Range Wyoming will officially launch in August 2018. Contact Alicia Vonberg at alicia.kerns1@wyo.gov, (307) 777-3679. The Wyoming Department of Education invites K-12 science teachers to participate in a two-day professional development workshop: Implementing the Wyoming Science Standards. Understand the organizational structure of the 2016 Wyoming Science and Content Standards. Engage in lessons that utilize 3-dimensional instruction (cross-cutting concepts, disciplinary core ideas, and science and engineering practices). Experience ways to bundle science standards. Evaluate and modify lessons to align to the new standards. 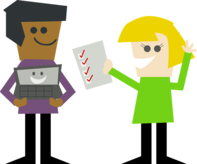 Collaborate with grade-band teachers to create a network of support. Teton Science Schools is offering a professional development program focused on Place-Based Education while teachers from other schools visit for Field Education programs. The Introduction to Place-Based Education program includes an evening program, a day of observations (while fulfilling chaperone responsibilities), and a closing reflection session. Teacher participants will leave with an understanding of what place-based education is and ideas for how to implement it back in their schools and communities. Awards of a cash prize and plaque will recognize outstanding teaching of chemistry by a Wyoming high school teacher. Any Wyoming educator who has taught high school chemistry for at least two years is eligible. Consideration will be given to such activities as participation in the Chemistry Olympiad, National Chemistry Week, the State Science Fair, professional workshops, or to other evidence of teaching excellence. All nominations and applications should be received by the Awards Committee by April 1, 2017. 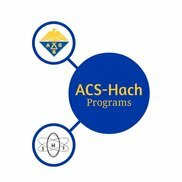 The ACS-Hach Professional Development Grant supports high school chemistry teachers as they identify and pursue opportunities that advance their professional development and enhance the teaching and learning of chemistry in their classrooms. Teachers can request up to $1,500 to fund professional development opportunities that will improve their professional skills and student achievement. The NCWIT Award for Aspirations in Computing honors young women in grades 9-12 who are active and interested in computing and technology, and encourages them to pursue their passions. Recipients are chosen for their demonstrated interest and achievements in computing, proven leadership ability, academic performance, and plans for post‑secondary education. Applicants must first create or update an aspirations.org account here. Then students can apply online, no later than November 6, 2017. The NCWIT Aspirations in Computing (AiC) Educator Award celebrates formal and informal educators who encourage high school female students' interest and participation in technology pursuits. Applicants must complete a 2018 Award for Aspirations in Computing application by November 13, 2017. The Solve For Tomorrow contest challenges students in grades 6-12 to show how STEAM can be applied to help improve their local communities. Selected finalist schools will receive a prize throughout the contest. 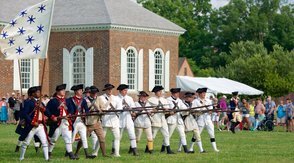 The Colonial Williamsburg Foundation is offering a free one-day workshop, Bringing History to Life in Your Classroom. 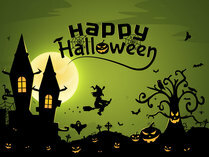 Meet a person from the past through a character impersonation among other activities. The workshop will help you meet standards, support interdisciplinary curriculum, utilize primary sources and learn innovative teaching strategies. The Wyoming Geographic Alliance is sponsoring a bookmark contest for students in grades K-8. This year's theme is "Civil Rights." 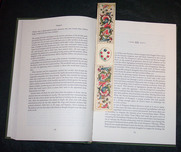 First-place winners will have their bookmarks published and distributed to libraries and schools throughout Wyoming. The theme of the annual conference of the National Council of Teachers of Mathematics is Breaking Barriers: Actionable Approaches to Reach Each and Every Learner in Mathematics. The INNOV8 Conference will support you in identifying, analyzing, and planning for instruction and intervention around a self-identified problem of practice related to access, equity, and empowerment. Bring your team and engage in an innovative learning experience for mathematics education. 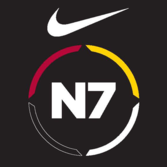 The N7 Fund is Nike’s long-term commitment to bring sport and all its benefits to Native American and Aboriginal communities in North America, with a focus on youth. Grants of up to $20,000 are available for physical activities for youth 18 and under. Eligible entities include charities, Indian tribes and schools with a sponsor that has tax-exempt status.